Welcome! Enjoy my website on beavers! 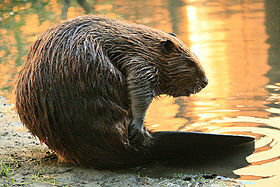 The North American Beaver, Castor canadensis, is an incredibly well adapted and complex organism that many do not know much about. Beavers are extremely hard working and are amazing engineers. Explore the wonderful world of the beaver! To start off, you may want to check out their classification.